As a result of the overblown media reports about the tropical storm, we saw very few charter bookings on Friday, even though the weather was beautiful. 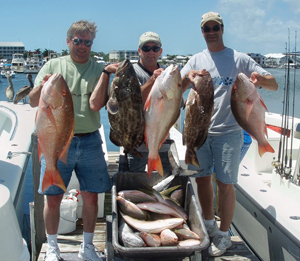 This is a fantastic time of year to go light tackle fishing while visiting Key West, Florida. 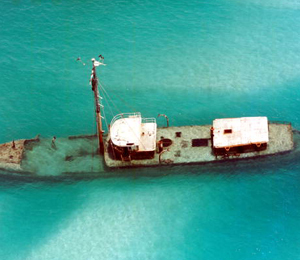 There are ample spots to discover some fabulous angling, including in Key West Harbor, at the plentiful shipwreck sites throughout the region, in the abundant saltwater flats, and south of Key West at the reef. Because of the sparse charter bookings, two of our charter captains decided to take advantage of the Yellowtail Snapper spawn at the Atlantic reef by doing some commercial fishing. Capt. Dan and Capt. Bill managed to land over 250 lbs of that delicious species on Friday. If you are looking for some exhilarating angling action, the Tarpon continue to bite in Key West Harbor. 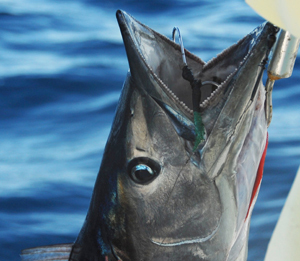 Our half-day charters typically nab four to six specimens of these large and spirited game-fish that can grow to surpass one hundred and thirty pounds.